A whole day all about women who are doing incredible work in STEAM careers in space! Join us for hands-on activities, a panel discussion from a diverse group of women from NASA and SETI to talk about the work they do and their career path. Engage with engineers, biologists, artists, and people in other fields that surprisingly link with space missions. It takes more than just rocket scientists to be part of space missions. Bring your questions and curiosity. Dr. Margaret Race is a scientist who works with NASA and SETI Institute focusing on Astrobiology, searches for ET life, and science policy issues associated with space exploration missions and new technologies. Her specialty is in Planetary Protection—how to plan robotic and human missions in ways that avoid harmful contamination of both the Earth and other planets. Margaret grew up in Boston, received her BA and MS degrees from the University of Pennsylvania, and her Ph.D. in Ecology from UC Berkeley. After a postdoc at Woods Hole Oceanographic Institution, she taught and did environmental research at both Stanford (Human Biology Program) and UC Berkeley (College of Natural Resources)—and later joined NASA to work on planetary protection, astrobiology, and science policy issues. 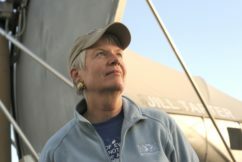 Jill Tarter is the Emeritus Chair for SETI Research at the SETI Institute in Mountain View, California and serves as a member of the Board of Trustees for that institution. Tarter received her Bachelor of Engineering Physics Degree with Distinction from Cornell University and her Master’s Degree and a Ph.D. in Astronomy from the University of California, Berkeley. She has spent the majority of her professional career attempting to answer the old human question “Are we alone?” by searching for evidence of technological civilizations beyond Earth. She served as Project Scientist for NASA’s SETI program, the High Resolution Microwave Survey and has conducted numerous observational programs at radio observatories worldwide. She is a Fellow of the AAAS, the California Academy of Sciences, and the Explorers Club, she was named one of the Time 100 Most Influential People in the World in 2004, and one of the Time 25 in Space in 2012, received a TED prize in 2009, two public service awards from NASA, multiple awards for communicating science to the public, and has been honored as a woman in technology. She was the 2014 Jansky Lecturer, and received a Genius Award from Liberty Science Center in 2015. She served as President of the California Academy of Sciences 2015-16. Asteroid 74824 Tarter (1999 TJ16) has been named in her honor. In 2018 she was recognized with the Maria Mitchell Women in Science Award and the Sir Arthur Clarke Innovator’s Award. Since the termination of funding for NASA’s SETI program in 1993, she has served in a leadership role to design and build the Allen Telescope Array and to secure private funding to continue the exploratory science of SETI. Many people are now familiar with her work as portrayed by Jodie Foster in the movie Contact. 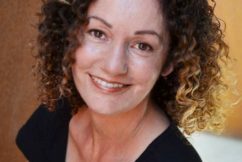 Her biography Making Contact was written by Sarah Scoles and published in 2017. Julia DeMarines is an Astrobiologist and science educator. She teaches at the Chabot Space & Science Center and with the international group of scientists/educators called the Ad Astra Academy, and is a 2018 National Geographic Teacher Fellow. She is also a research scientist at Berkeley SETI Research Center and the Blue Marble Space Institute of Science. She holds a Masters degree in Space Studies from the International Space University (Strasbourg, France) and a Bachelor’s degree in Astronomy from the University of Colorado. Her research focus has been primarily on the subject of remote biosignature detection on exoplanets, the ethics behind messaging extraterrestrial intelligence, and the impact of informal educational activities. She has previously worked at the Denver Museum of Nature & Science, NASA Ames, and NASA Langley, and Fiske Planetarium. 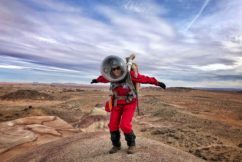 In 2018, Julia spent two weeks living and working on “Mars” at the Mars Desert Research Station in Utah, as their Astronomer and Green Hab Operator. Julia also runs her own outreach events called “Space in Your Face!” – a space variety show involving comedy, cover songs, science demos, which can be enjoyed at the Chabot Space & Science Center. 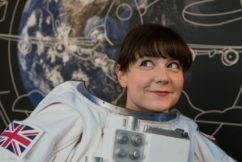 Ariel Waldman makes “massively multiplayer science”, creating unusual collaborations that infuse serendipity into science and space exploration. Ariel sits on the council for NASA Innovative Advanced Concepts, a program that nurtures radical, science-fiction-inspired ideas that could transform future space missions. She is the co-author of a congressionally-requested National Academy of Sciences report on the future of human spaceflight and the author of the book What’s It Like in Space? : Stories from Astronauts Who’ve Been There. Ariel is the global director of Science Hack Day, a grassroots endeavor to prototype things with science that is in 30 countries. In 2013, Ariel received an honor from the White House for being a Champion of Change in citizen science. In 2018, she led a five-week expedition to Antarctica to explore the microscopic life beneath the ice, filming microbes living within glaciers, under the sea ice, and in subglacial ponds. Dr. Penny Boston is the Director of NASA’s Astrobiology Institute (NAI), at NASAAmes, Moffett Field. She leads the scientific activities of the Institute’s member teams and all operational aspects of the organization. Her appointment was effective May 31, 2016. 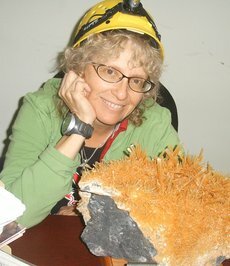 Penny leads the NAI in fulfilling its mission to perform, support, and catalyze collaborative interdisciplinary astrobiology research; train the next generation of astrobiologists; provide scientific and technical leadership for astrobiology space mission investigations; and develop new information technology approaches for collaborations among widely distributed investigators. 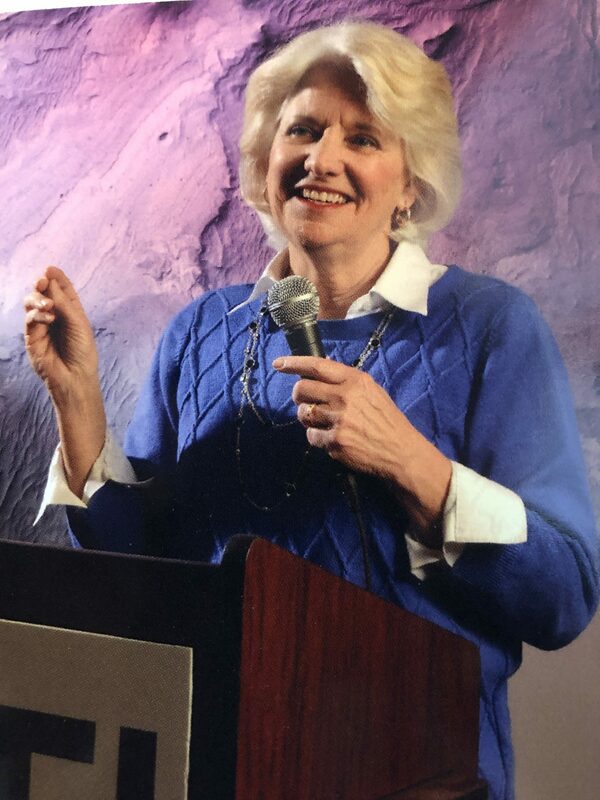 Prior to joining NASA, Penny, in 2002, founded and directed the Cave and Karst Studies Program at New Mexico Tech, Socorro, New Mexico, where she also served as a professor and led their Earth and environmental sciences department as chair. She also served from 2002 to 2016 as associate director of the National Cave and Karst Research Institute, a congressionally mandated institute in Carlsbad, New Mexico. She holds Bachelor of Arts and Master of Science degrees and a Ph.D. from the University of Colorado Boulder. Maria Bualat has been at NASA’s Ames Research Center since 1987, working in the mobile planetary robotics field since the 90’s. She holds a Bachelor of Science degree in Electrical Engineering from Stanford University and a Master of Science degree in Electrical Engineering, emphasis Controls, from Santa Clara University. She’s served as a Deputy Group Lead for the Intelligent Robotics Group since 2005, Ms. managing projects for NASA’s Science Mission Directorate, Exploration Systems Mission Directorate, Office of the Chief Technologist, and Space Technology Mission Directorate including: ARC Rover Testbed, MIDP instrument integrations and demonstrations on the K9 and K10 planetary rovers, Human-Robot Site Survey, Surface Telerobotics, and Astrobee. Her professional interests include visual navigation, user interfaces, and field testing of mobile robots. Dr. Donovan is the Project Scientist for NASA Space Biology at NASA’s Ames Research Center. She holds a doctorate in biological sciences with more than a decade experience in development and utilization of spaceflight hardware for biological experimentation. Leading the Space Biology International Space Station (ISS) flight science processes, working with researchers, ISS Research Integration Office, and NASA’S implementation partners. She also serves as the liaison to the Japanese Space Agency Multiple Artificial-gravity Research System – “MARS” for Space Biology. NASA Space Biology conducts ISS research to advance human space exploration and scientific knowledge using a diversity of non-human model organisms from cells and microbes to seedlings, nematodes, fruit flies and small vertebrates. Friederike Graf has served as upgrades and controls engineer at the Stratospheric Observatory for Infrared Astronomy (SOFIA) airborne telescope since July 2014 and is enrolled as a PhD student at the University of Stuttgart, Germany. She’s earned her Diploma in Aerospace Engineering from the University of Stuttgart, Germany, and worked as a visiting student at NASA’s Ames Research Center (USA), Centre National de la Recherche Scientifique (Orléans, France) as well as European Space Agency (Nordwijk, Netherlands) and is an Amelia Earhart Fellowship alumnae. SOFIA is an airborne telescope on-board a highly modified Boeing 747SP and a worldwide unique observatory enabling infrared astronomy at altitudes of up to 45kft. Contrary to any ground-based telescope, SOFIA is exposed not only to aerodynamic forces but also aircraft motion and excitation. Ambitious scientific goals require a stable telescope with very precise pointing and Friederike’s primary work is tackling these challenges. Dr. Darlene Lim is a geobiologist based at the NASA’s Ames Research Center, leading several NASA-funded research programs focused on blending field science research with the development of capabilities and concepts for future human spaceflight into deep space and Mars. 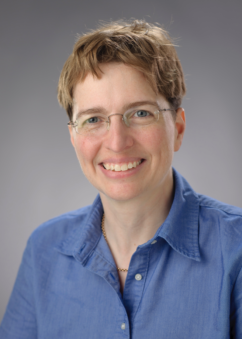 She’s the Principal Investigator (PI) of the NASA-funded SUBSEA, BASALT and Pavilion Lake research programs, and the Deputy PI of the NASA SSERVI FINESSE research program. She’s also served on a number of NASA Mars Exploration Program Analysis Group (MEPAG) committees and was the MEPAG Goal IV (Prepare for Human Exploration) Co-Chair from 2009-2016. She is also currently serving a four-year term on the Ocean Exploration Advisory Board (OEAB) for the National Oceanic and Atmospheric Administration (NOAA). Darlene is a passionate promoter of science and exploration education and outreach efforts, and founded the Haven House Family Shelter STEM Explorers’ Speakers Series, which from 2012-2015 enabled NASA and academic researchers to conduct educational sessions with homeless children in the San Francisco Bay Area. Darlene has spent 25 years conducting field research around the world, and has worked on all seven continents, in both the Arctic and Antarctic, as well as in underwater environments where she has piloted submersibles as a scientist and explorer. She has also participated in numerous field programs including the Mojave Volatiles Prospector program, NEEMO, Haughton Mars Project, and Desert Research and Technology Studies. She holds a Bachelor of Science in Biology from Queen’s University in Canada and Ph.D in Geology from the University of Toronto in Canada. 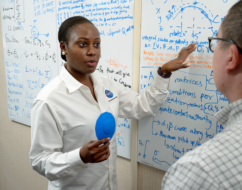 Dr. Wendy A. Okolo is an Aerospace Research Engineer in the Discovery and Systems Health Technology (DaSH) area within the Intelligent Systems Division at NASA’s Ames Research Center. In this role, she conducts research in control systems and systems health monitoring and develops solutions to aerospace engineering problems, leading a team to develop the technologies that will ensure the safety of Unmanned Aerial Systems (UAS) in the national airspace. She also leads a controls team to develop the guidance and controls technologies that will enable guidance and precision landing for deployable entry vehicles. She holds a Bachelor of Science and Ph.D. degrees in aerospace engineering from the University of Texas at Arlington. Her research has been recognized and funded by the AFRL, Air Force Office of Scientific Research (AFOSR), American Institute for Aeronautics & Astronautics (AIAA), Texas Space Grant Consortium (TSGC) and Zonta International. She recently received the Black Engineer of the Year Award (BEYA) for Most Promising Engineer in Government. Dr. Kimberly Ennico Smith is a NASA research astrophysicist at NASA’s Ames Research Center. She is multidisciplinary in her approach to space instruments, telescopes, and mission concepts. She has designed and built infrared airborne and space telescope cameras and spectrometers, tested detectors in laboratories and particle accelerators, designed low-cost suborbital instruments, built lunar payloads, and, most recently, served as deputy Project Scientist leading the calibration of the New Horizons Pluto fly-by mission and Project Scientist for the flying infrared observatory SOFIA.